Each spring the Alumni Office invites members from key classes to return to campus for a time of celebration and fellowship with their classmates, current faculty and administration. This year the classes of 1969, 1979, 1989, and 1999 are invited to celebrate their reunions. The festivities are held during commencement weekend on Friday and Saturday, May 10-11, 2019. This year’s reunion classes will receive an invitation in January, 2019. We hope you can come. RSVPs are due by Monday, April 29, 2019. Click to see the Reunion RSVP page. If you’re not able to come, please submit your biographical information on the RSVP page. This information will be included in a booklet distributed to all who submit their bio. The campus will be open for those who wish to visit.  Don’t miss the seminary Book Center where alumni enjoy a 20% discount on most Book Center merchandise. Continental Breakfast. Coffee, juice and muffins will be provided at Scofield Memorial Church for those attending the Commencement Chapel. Commencement Chapel. at Scofield Memorial Church sanctuary. Reserved seating for reunion attendees will be provided. Reunion Luncheon. Enjoy lunch with fellow classmates on the DTS campus. Group photos. Gather for pictures with the different classes. Campus tour. Walking tour given by courtesy of the Admissions Office. Texas BBQ Dinner. Enjoy casual dinner served by the faculty on the DTS campus. Commencement Ceremony. Program held at Prestonwood Baptist Church in Plano. Reserved seating for reunion attendees is provided. Element Dallas Downtown East recently opened 2 blocks from the seminary. For the DTS rate, go here.